NO SHIPPING CHARGES ON ORDERS OF $50.00 OR MORE! APPLYS TO DOMESTIC SHIPPING ONLY. 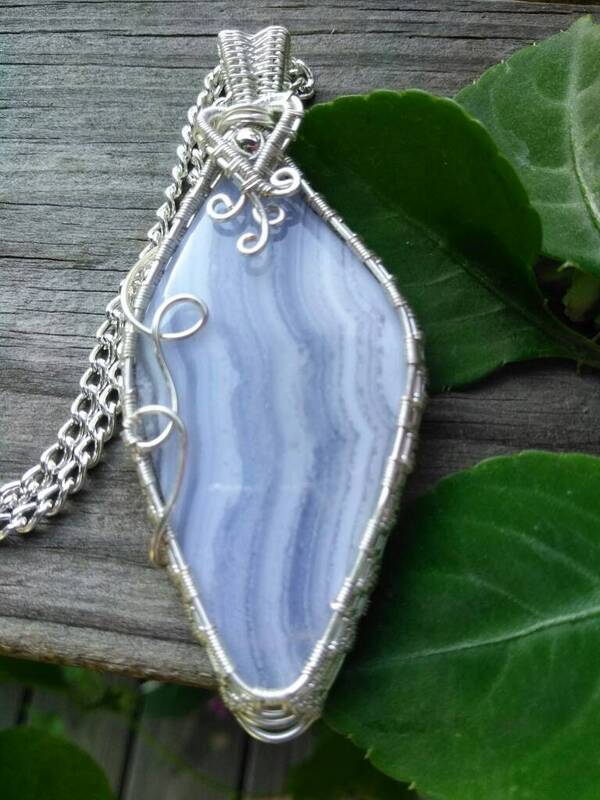 A beautiful large blue and white free form cut crazy lace agate cabochon. The total measurements of the pendant are 80cm x 30cm (3" x 1 1/8"). 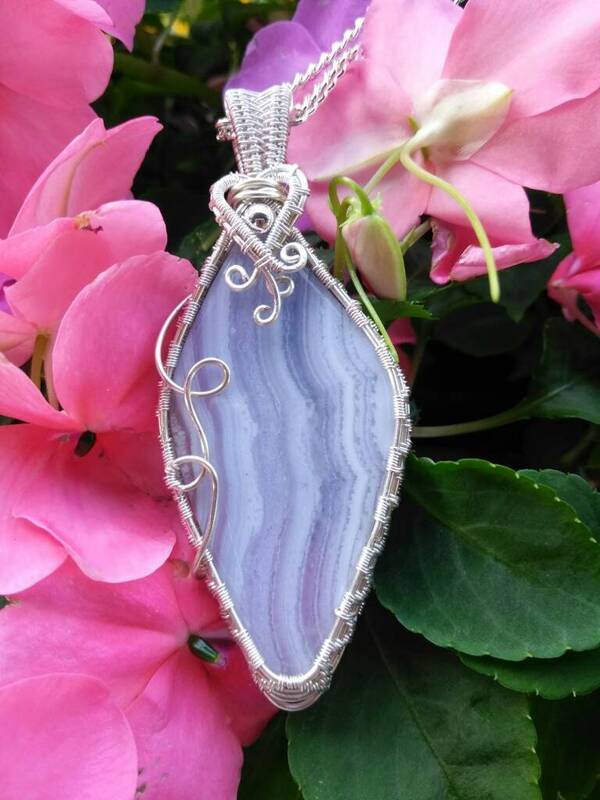 It includes a 55cm x 28cm (2 1/4" x 1") blue and white crazy lace agate. The wire used for weaving is a silver plated anti-tarnish artistic wire. An 18" silver plated chain comes with this pendant. It also includes a 2" extension making the necklace adjustable from 18" to 20". If you would like a different length please let me know in the comments when checking out. Customer satisfaction is very important to me. If you receive a package that is damaged or otherwise not to your satisfaction, please contact me by clicking on "Contact Shop Owner" on my Etsy homepage within 15 days of receipt. 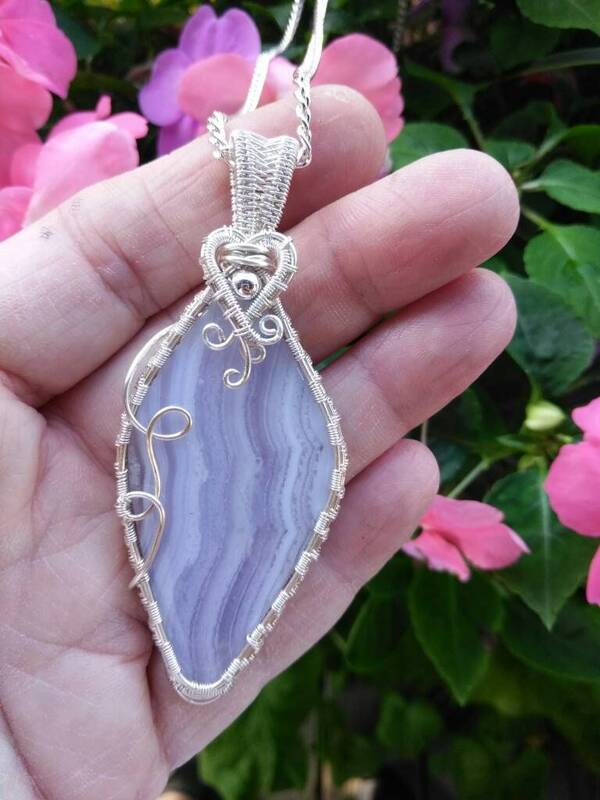 You can also contact me through my email at sherrylynnjewelry (a) yahoo.com.